One of our readers asked a very good question. 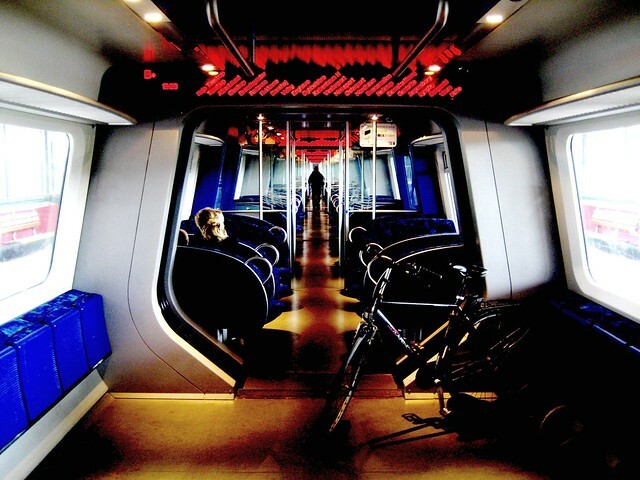 How many bikes actually go on the local Copenhagen train network? A quick call to the DSB - Danske Statsbaner - and I got the answer. The local trains in Copenhagen are called the S-trains. Like the red one below. They serve Copenhagen and connect the city with the distant suburbs. We're not including the stats for the Metro and we didn't bother with the stats for the Regional/National trains here - the site is Copenhagenize, not Denmarkize. 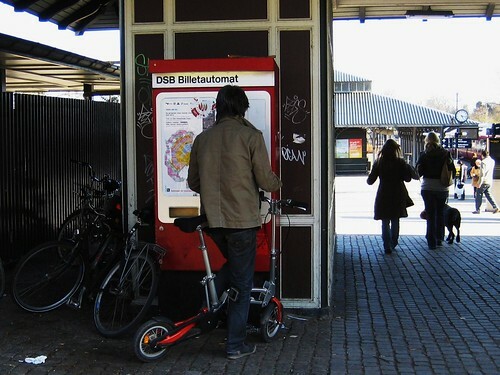 In 2007, there were 1,845,669 bicycles transported by S-train in Copenhagen and environs. In 2007 there were 88 million passengers on the same trains. So the cycle number is impressive, but it is only a small percentage of the total trips. 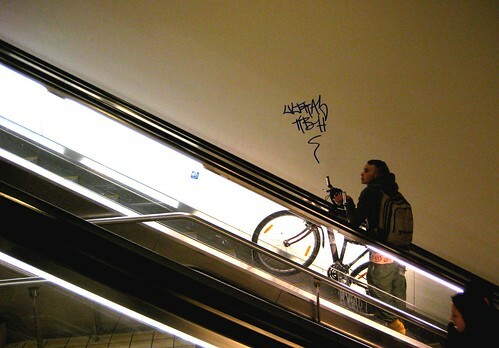 That's simply because most people either ride their bikes where they need to go or they ride to their local station and park before getting on the train. 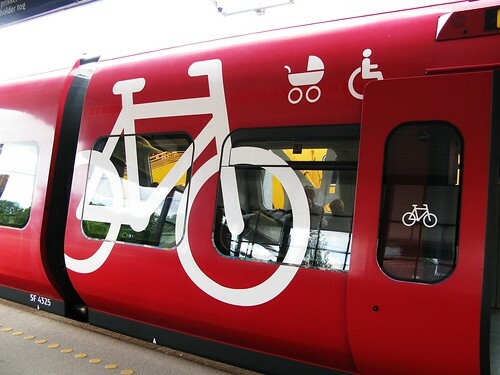 I only use the 'bike on train' option if I have to get out to the suburbs for a meeting or if our little family goes for a bike ride in a park north of Copenhagen.